Oslo, 1987: Seventeen-year-old Euronymous (Rory Culkin) is determined to escape his idyllic Scandinavian hometown and create “true Norwegian black metal” with his band, MAYHEM. He’s joined by equally fanatical youths – Dead (Jack Kilmer) and Varg (Emory Cohen). Believing that they’re on the cusp of a musical revolution, the group gets even darker driven by the black metal dogma to spread evil. 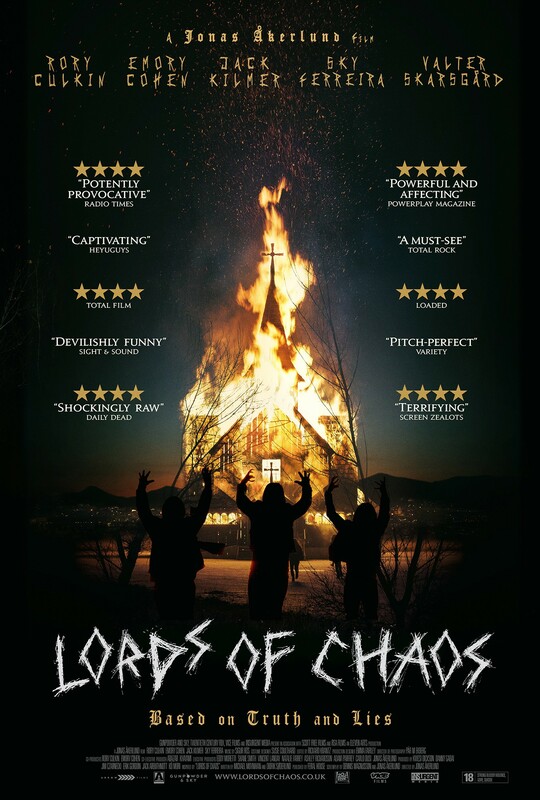 To uphold the authenticity of LORDS OF CHAOS and the actual events that transpired, this film contains a sequence of flashing lights and strobing effects in a concert scene which might effect customers who are susceptible to photosensitive epilepsy. This film contains strong bloody violence, gore, suicide.